Growing and scaling your business effectively is a must, but as you do that, the first limiting factor you'll reach is yourself. At some point, you'll discover you aren't superman, and you'll need to offload work to others. Q: How can you get more time back, while still growing your business? 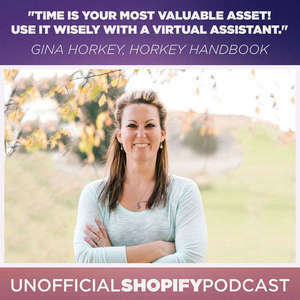 In this episode we talk to Gina Horkey who gives us an introductory overview of hiring and working with virtual assistants. We walk through the value proposition of virtual assistance, how to get started, what you need to know before you start, give hiring & training tips, and the key ingredient that makes hiring a virtual assistant a success or not. Text "getava" to 33444 to get The Top 3 Reasons You Need a Virtual Assistant.